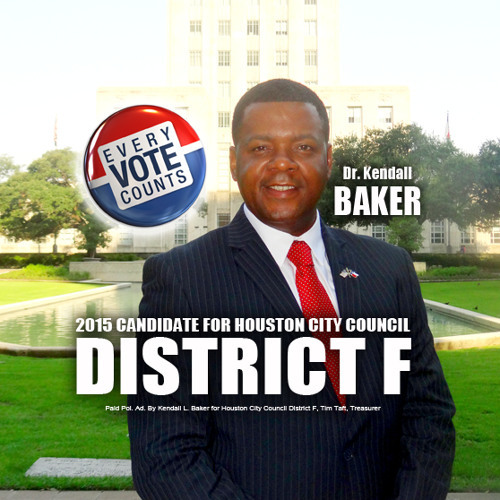 This commercial features Dr. Kendall L. Baker a 2015 candidate running for Houston City Council District F. Dr. Baker is running for Houston City Council District F against Dr. Steve Le and Council Member Richard Nguyen in the Tuesday, November 3, 2015 City of Houston Mayoral Election. Early voting begins on Monday, October 19, 2015 and ends on Friday, October 30, 2015. Dr. Kendall Baker is asking for your vote, prayers, and support!